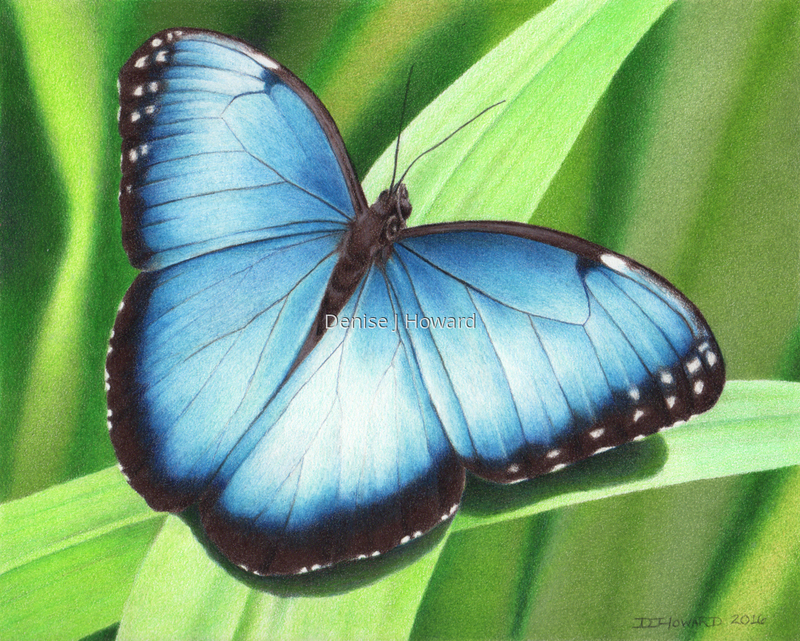 I challenged myself to see if I could duplicate Blue Morpho #1 by following my own instructions, and gave it a complete background. Colored pencil on Stonehenge paper. 7" x 8.75"8" x 10"